This week I had the amazing and nerve-wrecking opportunity to go out on my own and do a classroom outreach presentation at a local preschool. I went to six classes throughout the course of the day, presenting multiple instruments and providing the opportunity to participate in a musical experience. When Rachel and Katey introduced the idea to me, I was nervous but I knew that I could do it and that it would be a great experience so I hesitantly agreed. I had plenty of time to prep my music and run it by both supervisors before heading out on my first event completely solo. When I sat in front of the first classroom I was very nervous but my nerves quickly subsided as my focus set in and before I knew it, four hours had passed and the event was over. We began our Listen & Learn for Little Ones classes again this week and with it being the first class back we would usually expect little participation and much hesitance on the part of the “little ones”, but not this week! Everyone was very excited, so excited in fact that when we began playing the ukulele song for a cool down almost everyone surrounded Katey reaching for the ukulele wanting so desperately to play. Before Tuesday I would have continued to allow my supervisor to lead without question, but with my new found confidence I decided to take the initiative to go get a second ukulele to assist her. This decision proved very helpful after all and now I am very glad that I stepped outside of my comfort zone. So, my words of wisdom for other interns out there are: if you’re asked to do something new and it scares you — do it anyway! Seek guidance when appropriate but don’t be afraid to step outside of your comfort zone, because you never know when you will have a turning point. Be brave, my fellow interns, and have a wonderful week! This week I wanted to share something special about myself; I am the ultimate planner. When I was growing up my mother had a rule: I was not allowed to plan my May birthday party until less than six months prior, because otherwise I would have planned five parties, two sleepovers, and a trip to the roller rink by the end of June. Planning has always been a way for me to find excitement and positivity in any given situation and it is definitely something that I have carried into adulthood. Being a planner can be very helpful at times, but if I am being honest it can also be quite a hinderance. Since I began my internship it has become very clear to me how little I know about my future. I could plan it fifty times over and never come to a clean-cut conclusion about where to go from here. As scary as it can be to trudge through the unknowns I try to remind myself that I am not the only intern in the world who is nervous about their future. I am one of many interns who is worried about finances, having a job after completing internship, and in general being a professional. I am not alone here. I have my supervisors guiding me, past teachers cheering me on, and a supportive family. At the end of the day, I have to remind myself to step away from the calendar and to-do lists and find joy in this once in a lifetime experience I have here at internship, because it won’t last forever. So, if you’re an intern and you are also feeling the weight of the rest of your life weighing on your shoulders, remember this: giving your all is enough, you are not alone, and this too shall pass so enjoy it while it lasts. Hello again, thank you again for following along with my internship journey! This week in my supervision I was asked the motherload of questions: where do you want to be after internship? She had asked me this before, but it still took the breath from my lungs and for a minute I felt completely overwhelmed. I took a deep breath and began drawing out my plan to begin my own private practice in music therapy. As every word was falling from my mouth I felt every emotion on the spectrum from enthralled to nervous to how on earth am I going to make this work? With every answered question I had three more to ask and suddenly I was beginning to see how big this beast of business ownership can be. As I moved into this weekend I was feeling the weight of my many thoughts, questions, concerns… until I remembered why I wanted to be a music therapist in the first place. I grew up in a small town at least thirty minutes from any major grocery stores or eateries that didn’t involve pizza, Mexican food, or some true blue down home cookin’ and I loved it. But as I grew a bit older and began to notice the limited resources there for people in need I felt a call to action come over me. That’s where my drive to help others began. This combined with my love of music and by age 15 I knew with everything I had that I was going to be a music therapist. Remembering this, I knew that reaching out to a community new to music therapy may not be an easy or quickly achieved endeavor but it’s what i want to do, I want to make a difference. This week my assignment was to shadow a professional in something other than music therapy. Immediately I knew I wanted to shadow a child life specialist. I chose that profession specifically because I knew so little about it, and I was soon about to get a full experience. During my shadowing experience, I watched this child life specialist walk children through procedures, provide comfort and distraction throughout the procedure, and implement a regular reward system afterwards which usually is an item that has been donated like a stuffed animal or a toy. The things these children endure are difficult and painful for most adults, so extra care should be in place to allow these children to excel throughout hospitalization and beyond. The child life specialist mentioned one word particularly often, and that was normalization. Normalization for these children is essential and is addressed in many different facets through the eyes of a child life specialist and also as a music therapist. As music therapists we provide opportunities for expression, coping with hospitalization, pain management, and more. 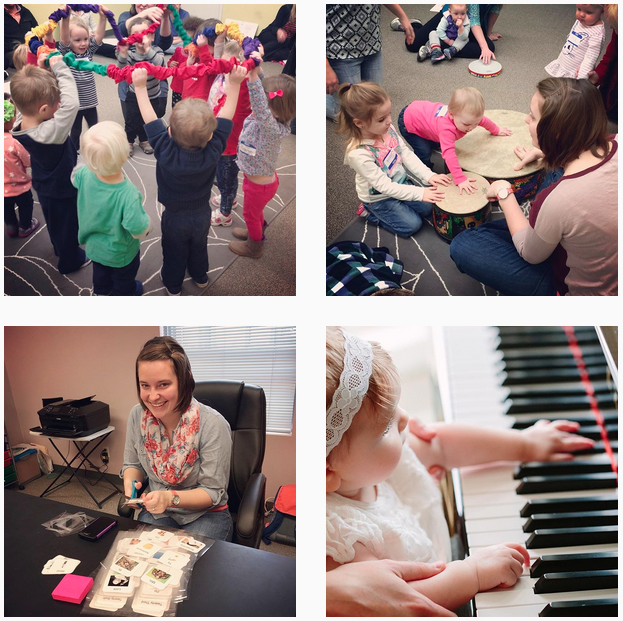 What was so impactful for me this week was realizing how intertwined child life and music therapy are as professions. When we as music therapists can connect with other professions, collaborate, and work together as a team, we only build a stronger treatment for our clients and patients in turn.